As a young, newly married couple, Lee and I spent many a weekend driving to visit family and friends. As soon as the tires hit smooth highway, I’d want to play my favorite road trip game Let’s Think of Baby Names. We were nowhere near the point of starting a family, and Lee was not into naming something, someone that didn’t even remotely exist. But I rattled off names anyway ignoring the way his grip on the steering wheel tightened until his knuckles turned a bluish gray. Years later, when my growing middle proved that a baby was no longer a hypothetical, Lee surrendered and played Name That Baby. 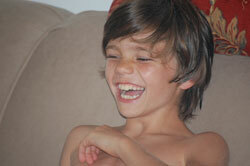 We settled on a boy’s name quickly – a first and middle name after his brother and mine. The girl’s name didn’t come as easily but that gave me the chance to write long lists of names that I no longer remember, yet have saved in my pregnancy diary buried somewhere on my overflowing bookshelf. Toward the end of my pregnancy, I’d flip-flopped though a dozen different girl’s names. Lee continued to smile and rub my back. Then just days before my due date, I picked one (which I can’t even remember now) and Lee happily agreed. We were ready. Until… I decided the boy’s name no longer felt right. “What?” Lee asked through his end of the phone line. “You want to change the name now?” His voice came through in a panicked work whisper. 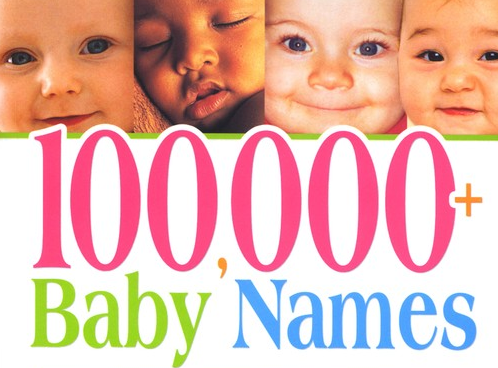 I looked at the books spread across the kitchen table –100,000 and 1 Names for your Baby, The Baby Name Bible and The Best Baby Name Book Ever and nodded into the phone. After going through all the books and not finding a single name, I called my friend Shandy. She’s the one who found my wedding dress when she stormed into the back room where customers weren’t allowed. It took her no more than 45 seconds to say the name I hadn’t seen in any of the books – Tucker. Just like the wedding dress, I knew instantly. When Lee answered the phone I whispered the name. “That’s the name,” he said without missing a beat. Andie’s name is a whole other story entirely. You’ll have to read about that one when my book comes out. Which brings me to why I’ve been thinking about the subject of names in the first place. As I begin this new phase of my book’s journey, sending out query letters to agents, hoping to find the one who will find the perfect home for my book so it can reach all of the folks meant to read it, a new title blew in with the first warm breeze of spring. When I heard the name, short and simple yet so encompassing of the whole story, I felt the same certainty I felt when I first heard the name of my boy. So please dear readers, join me in visualizing the book Preemie, a memoir on bookshelves all over the country, heck… let’s visualize it all over the world! So you’ll see a few changes on the website this week as I prepare to move forward and begin the next chapter of this premature journey!